T21, 3TA, 5TA, T100SS, T100A, T100SC & TR100SR from 1957-1962. May also suit other twin cylinder motorcycles, with Lucas 18D2 distributor and 6 volt electrics (BSA / Norton / AJS / Matchless / Royal Enfield). 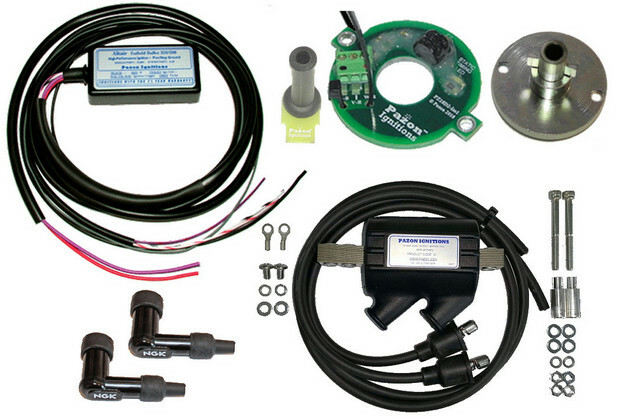 Completely replaces the original points, coil, condenser & mechanical advance. 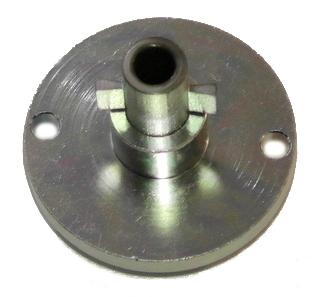 Also eliminates the rotor arm and the original plug (h.t.) leads. If an original appearance is required, the original h.t. leads can be left attached to the distributor cap, but they will no longer be connected to the ignition coil or spark plugs. 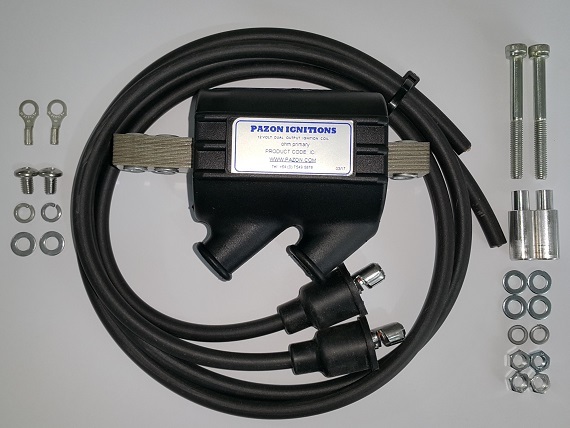 High power dual output 6 volt ignition coil, leads and plug caps included. 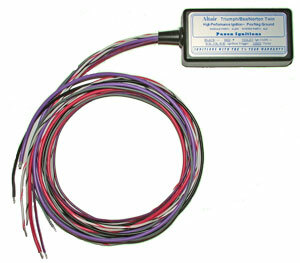 Wasted spark system, for simplicity of wiring and timing. Specifically, the shaft/bearings should not show signs of excessive wear (obvious signs of side-play or end-float). 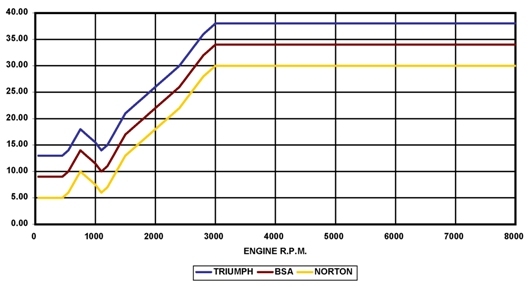 Side-play in particular may result in uneven/wandering ignition timing and/or running on one cylinder. 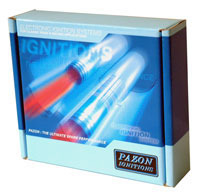 This ignition system will not overcome serious mechanical wear in the distributor.